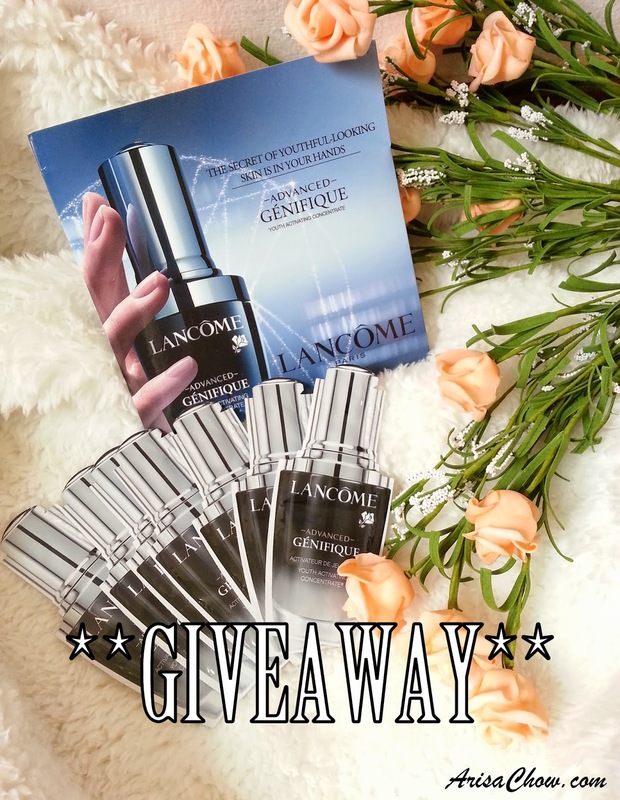 This is just something i want to share with you lovelies out there who has yet to discover Lancôme and their high grade products (no kidding). I have tons of friends (working ones obviously) who swears by this brand when it comes to their cosmetics, especially their mascara and serums. I know you would be slapping me if i were to review an anti-ageing product since my skin still looks somewhat considerably "decent" i guess? Though it's main objective of this range is to unlock the secret of youth but that doesn't mean you must have wrinkles or other skin problems before looking into this serum. Like the saying goes " better safe than sorry", taking care of your skin from an early age is proven to produce amazing results and also contributes to your skin elasticity compared to those who start later. 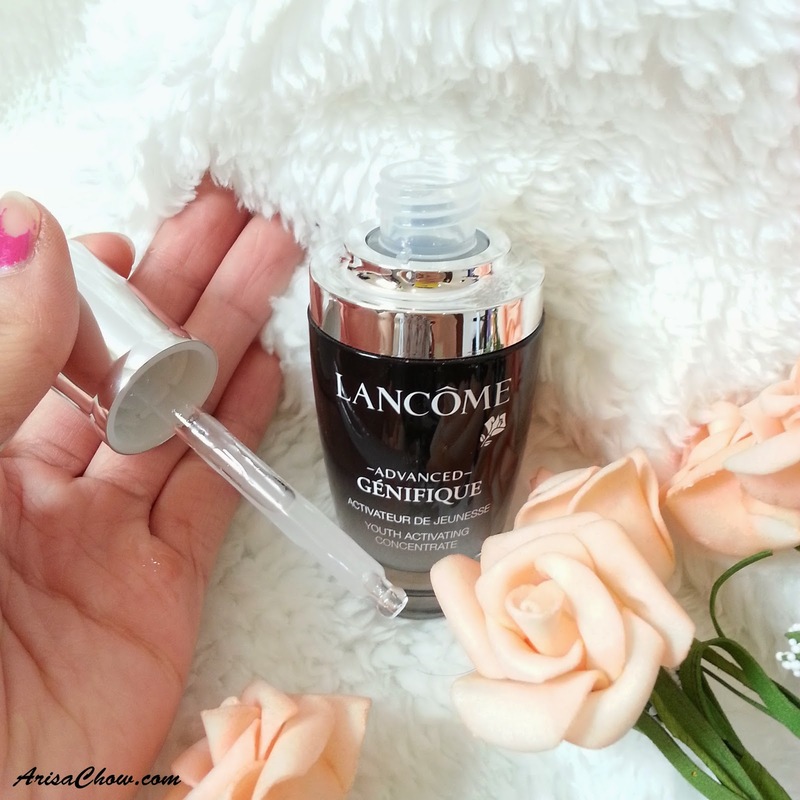 Génifique Youth Activating Concentrate is something i first came acrossed on Female Magazine when they were having a small coupon where we can redeem our 7 days free trial pack at selected Lancôme outlets so i decided to give it a try. And they also have this funky face massager that is supposed to enhanced the serum absorption for maximized results. It's really relaxing, trust me! 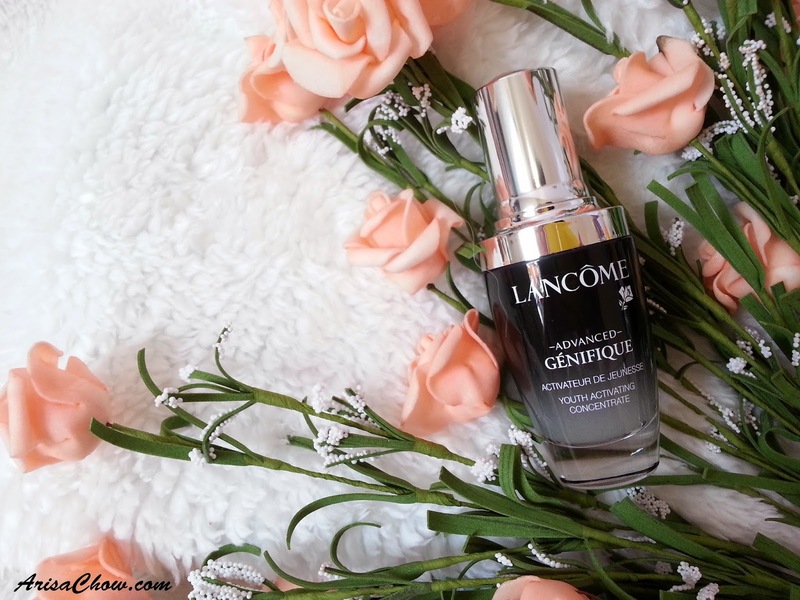 After my first experience at KLCC, Isetan Lancôme counter i never thought that i would end up using this serum as part of my daily skin regime now, it has really improved my skin texture making it more supple and less haggard than usual. 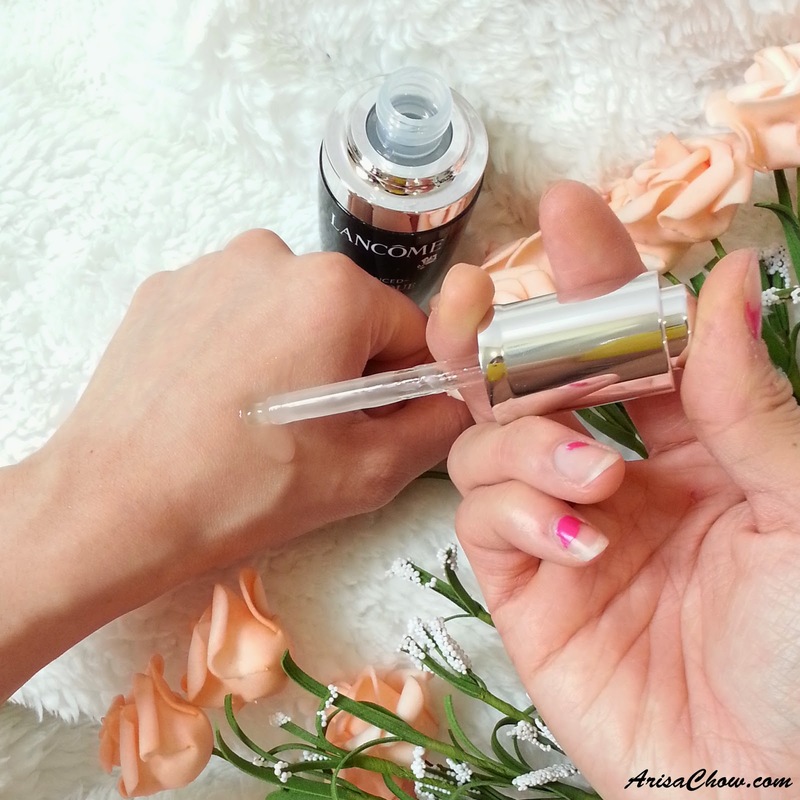 So now applying on make up daily is easier and faster all thanks to this miracle serum. Obvious results can be seen within a week! Just to name a few of it, but overall it targets every aspect of a typical skin problem we ladies encounter daily due to our diet, weather and unhealthy lifestyle like not enough sleep. I hate putting on tons of products on my face because it really gives me a feeling of a cake even though i know it is recommended to put on moisturiser and sunblock before applying on make up. Or maybe i am just too lazy to wait for it to dry that is why, even if it's just 1 minute /kena slap. Lolololol. woow looks like its a great product ! 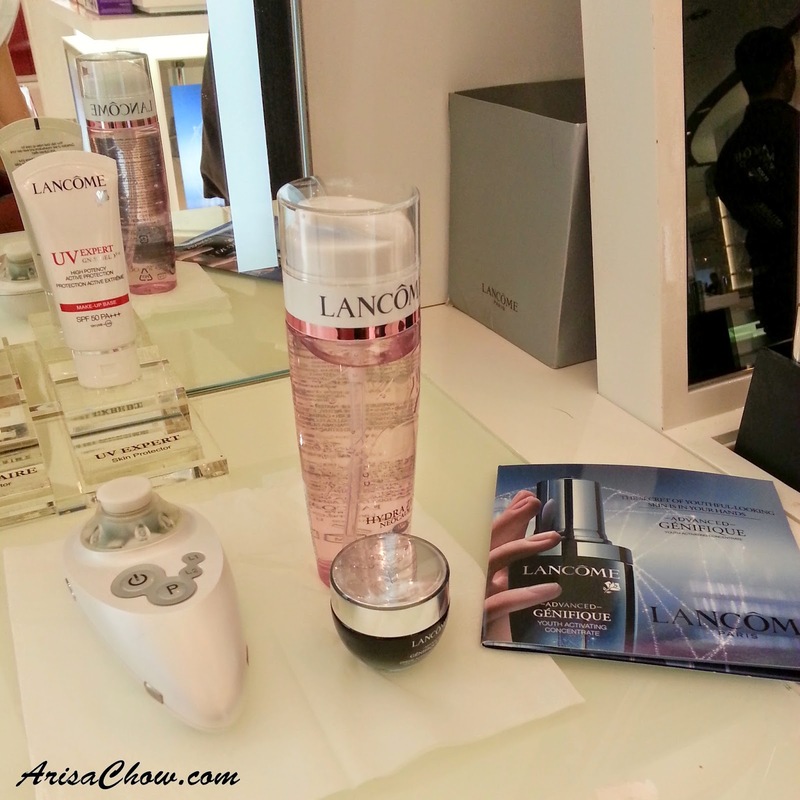 always like Lancome's product ! This looks interesting to me, would like to give a try and see the different with Estee Lauder night repair. Hopefully the chances with me :P Thanks.